With the end of financial year fast approaching, now’s the time for Australian enterprises to review their mobile device management (MDM) expenses, resources and capabilities. Do you know your company’s total spend to manage your enterprise mobility fleet including hidden costs? Do you suffer a loss when it takes too long to resolve an MDM issue? Is your in-house IT or current MDM service adequately equipped – in skills, knowledge and processes – to handle your current MDM demands? Depending on your MDM complexity, business goals and company resources consumed by MDM, there’ll be a tipping point when it makes more sense (and dollars!) to outsource to a cost-effective proactive MDM monitoring service. The main reason to use in-house IT for mobile device management is that your IT employment costs are known and steady. Adding MDM monitoring tasks to your IT team’s current workload may help to control costs; particularly if fleet device numbers are low, fleet work is non-critical, and your mobility system is straightforward to troubleshoot and fix issues. If fleet management distracts your IT team from core business responsibilities, then employing additional staff for MDM may suit. From a cost versus value perspective, applying in-house resources to MDM raises several matters. Will your IT staff feel under pressure addressing MDM problems they don’t fully understand? Will your IT team fix the problem correctly or use a ‘Band-Aid’ solution with negative flow-on effects? How much did it really cost in lost time, lost data, lost revenue, as well as staff stress and frustration? The value of outsourcing MDM is in enhancing efficiencies and creating more business, not cutting costs. MDM outsourcing becomes valuable when it reduces your spending on staff recruiting, training, salaries, employee benefits and other hidden costs of staffing. Plus, an outsourced MDM monitoring service accurately assesses the health of your fleet remotely; with effective 24/7 surveillance detecting issues before they. become larger costly problems. Outsourcing MDM monitoring is valued when it improves mobility device productivity and increases your service uptime and reliability for improved customer engagement, which in turn, secures your supply-demand with greater recurring revenue. Who’ll respond fastest when you need it most? An IT staff member who may know how to solve your MDM issue, but who’s away for the next week? Or a 24/7 contracted MDM monitoring service, available to respond on demand to address your emergency issues? If your mobility fleet tasks are non-critical and time is not a factor, then in-house IT support or accepting a slower MDM monitoring service may be adequate. 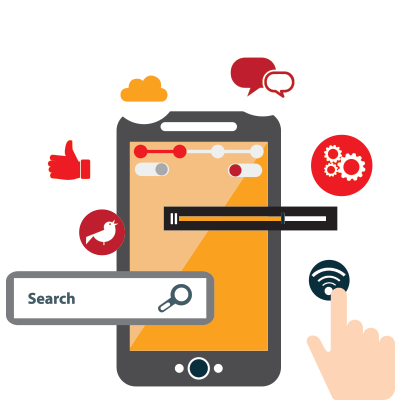 Responsive MDM monitoring service providers will rapidly escalate problem resolution. They’ll offer different levels of technical support based on your budget. On-demand proactive MDM services conduct remote troubleshooting, plus ongoing background monitoring to circumvent potential issues. With dedicated staff and efficient systems – developed exclusively for fixing MDM issues, performing updates and monitoring the health of your entire fleet – an MDM monitoring service provider is well geared to respond in real time and fast. Thus, saving you time otherwise wasted on; identifying the problem, troubleshooting a solution, and, eventually, fixing the problem. Certainly, your in-house IT team have direct access to domestic business intelligence. They have intimate knowledge of your brand, mission and company culture. In-house IT will know your mobility fleet from an insider’s perspective; ideal for mobility systems with a specific company focus on internal workflows and processes. Yet, as a generalist in IT infrastructure and technical support, is your in-house IT capable of fixing a complex ‘in-field’ mishap, remotely? Even if you train them in specific MDM monitoring skills, will they stay up to date as mobility systems evolve, and remain with your company? Or take the knowledge when they leave? In comparison, a pay-as-you-go MDM monitoring service has a dedicated specialist team. They support many mobility fleets simultaneously, with similar and contrasting requirements to yours. They have professional MDM hardware and programming experts who know, up to the minute, what’s best for field service delivery and fleet management. They know exactly what your device reports indicate. They know exactly how to address your alert notifications. In fact, a reliable MDM monitoring service provider may solve and fix your issue, having seen it for another client, before you even know about it. A flexible technology-driven MDM monitoring service provider draws on the latest technology trends to innovate robust systems that actively maintain a high level of uptime and customer service for clients, and to help develop your ongoing enterprise mobility strategy. Further, specialist MDM providers have well-established relationships with vendor mobility software developers and third-party device manufacturers. If a complex issue arises it’s far more efficient for the MDM monitoring service to query and troubleshoot the issue alongside the device or application creators. A dedicated company server is an expensive fixed capital investment for running fleet mobility systems and storing mobility data securely. Yet, mandatory in-house security and control – such as strict protection from third party access, physical in-house location of critical data or internal control of company servers – may warrant this set up. Further, in-house fleet management may offer better insight for how and when a mobility issue will be resolved. In contrast, outsourcing to an MDM monitoring service typically leverages cloud servers that offer real-time flexibility in multiple ways. 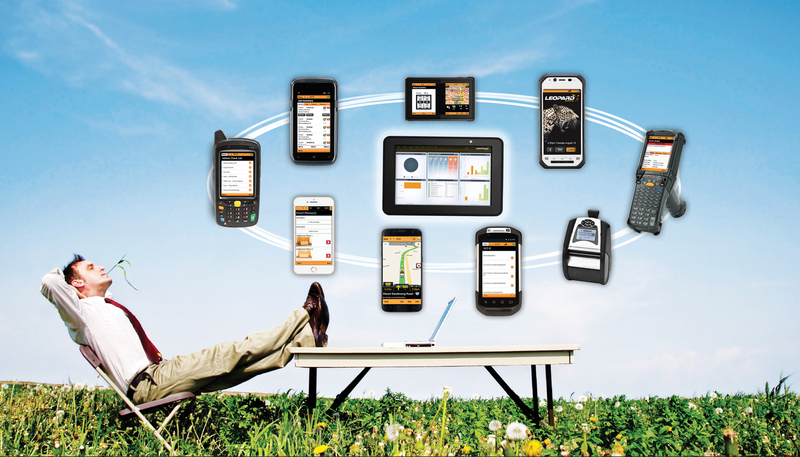 Rapid updates can be sent remotely to thousands of devices in the field. Off-site and reciprocal cloud servers back up field data securely and restore systems quickly when something goes amiss, reducing downtime and minimising data losses. MDM monitoring service providers ensure properly configured cybersecurity settings for cloud-based data storage and systems are in place. With automated device alerts, daily health checks, proactive monitoring and continuous reporting – all enabled by the cloud – MDM monitoring experts are constantly watching to ensure your business data is protected, accessible and safe, and your business operations remain reliable and active for your customers. Ready to move to a pay-as-you-go MDM provider for your fleet? Compared to a traditional licence-driven MDM service model, there are clear scalability benefits for engaging a pay-as-you-go MDM service offered as a ‘paid connected device’ model. The flexible payment plan allows you to easily add more devices as your fleet grows, adjust your level of technical service support as your business needs change, and alter your level of performance monitoring and device reporting as your operations require. With minimal start-up costs, the barrier to entry is low, for a feature-rich cost-effective mobile device monitoring service. Pay-as-you-go MDM services deliver expert professional management and real-time monitoring of thousands of mobile devices simultaneously, so your entire enterprise mobility fleet will be secure, visible and effective at all times and at a fraction of the cost of a licence model service. Find out more about Leopard Systems’ MDM service offering: LeopardCare Monitoring – a comprehensive, low-cost, feature-rich mobile device managed service with MDM experts monitoring your enterprise mobility fleet while you sleep. Speak to Leopard today about tailoring an MDM monitoring service package to your present and future business needs.